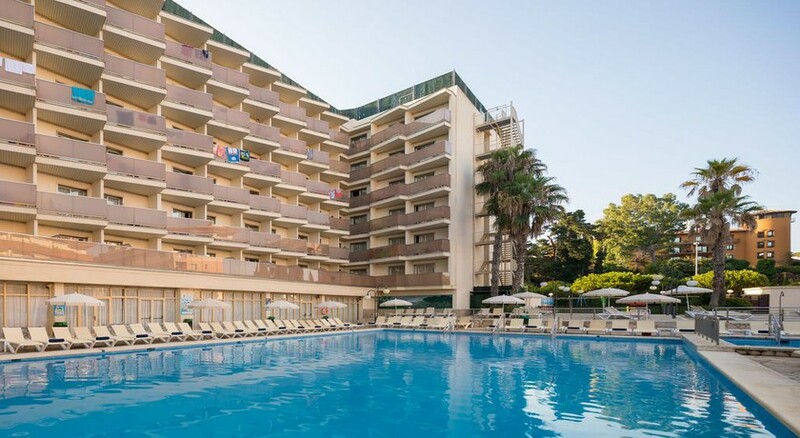 H. Top Royal Beach is a 4-star modern family hotel boasting an excellent location in Lloret de Mar, Costa Brava, a stone's throw from the beautiful Fenals beach. The lively resort centre, with its many restaurants, bars, pubs and entertainment venues, is less than a 10-minute walk away. The hotel features an outdoor pool with a separate children’s section to play in and TOP Mini Club, while the adults might want to unwind on the roof terrace area complete with a jacuzzi. Tropical gardens surround the resort, and there is evening entertainment available with live shows and dancing provided by the hotel. H Top Royal Beach resort features 368 rooms available on an all inclusive or half board basis, with comfortable amenities to meet guest standards. Outside of the hotel, there is plenty of things to see and do in Lloret de Mar, including the famous PGA Catalunya Golf Course, splash-tastic Water World Park and the five Blue Flag Status beaches of the resort – ideal for sunbathing and watersports. From the Barcelona airport you can take the El Prat: train RENFE airport-Blanes, with transfer to Barcelona Sants. From Blanes, take a bus service to Lloret de Mar. The Girona airport is 25km away. 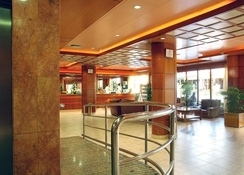 Only 100 meters from the beautiful sandy beach "Platja de Fenals" is the H. Top Royal Beach hotel. Here there is plenty of things to see and do in the surrounding resort, including famous golf courses, waterparks, shopping malls and bundles of beach action. H. Top Royal Beach offers a variety of Single and Double Rooms for guests to stay in. 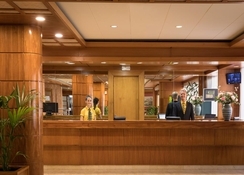 The guestrooms are equipped with private balconies, plus quality in-room amenities to ensure a comfortable stay – including air-conditioning, safe box, Wi-Fi, satellite TV, telephone, bathroom, shower, hairdryer, bathtub and more. According to your needs, guests may request wake-up service. 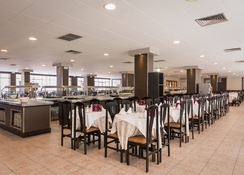 H. Top Royal Beach features a main Buffet Restaurant which can be used on an all inclusive basis, serving a mixture of Spanish and International cuisine. If you want a taste of local cuisine, there are plenty of restaurants and bars outside of the resort in the town centre, which is a 10-minute walk from the resort. H. Top Royal Beach has a program of activities (depending on the season) for your entertainment. Make a splash in the hotel’s outdoor pool or watch the kids as they have fun in the playground or Kids’ Club. Spend some time soaking up the sunshine on the hotel’s roof terrace, where you can relax in the jacuzzi. The hotel lends bicycles and quadricycle if you wish to explore the surrounding resort area. Plus various watersports activities take place on the beach. Stayed for a week half board on a last minute deal. Was a bit unsure as there seemed to be a lot of mixed reviews, But I have to say I was impressed. Room was a bit dated but was clean and tidy. Beds were amazingly comfortable and room was cleaned and refreshed every day. The food was buffet style and was superb, it varied every day and had plenty to choose from. Staff were very nice and helpfully. Brilliant location for access to shops beach and restaurants. Great Hotel , food, staff. Just perfect everything. I’ll be back! My wife and I have stayed at most of H top hotels in Spain. We know what we're getting for our money, that's why we keep returning. Good value for money. What more can i say. This hotel is actually good. 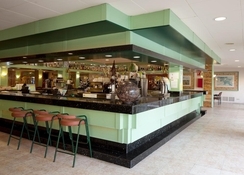 The staff are lovely,food was always good quality with a good choice for everyone. I think 3stars is right, food was basic, rooms were basic, good location but needs upgrade. Rooms were ok. Could have been slightly bigger for a family of 4. Food was fine. Only thing I would criticise would be the entertainment (or lack of it). Overall we had a good stay.